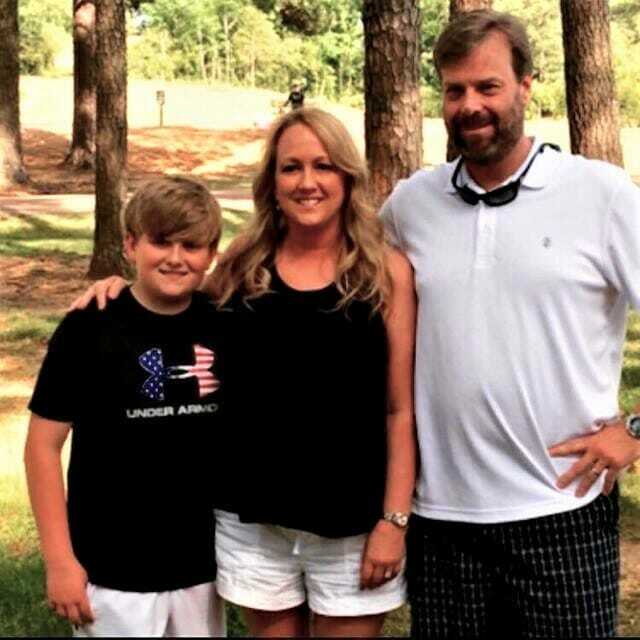 The Oxford community has rallied around Bridgette Turner, her husband, Preston, and son, John Preston. Oxford business owner Bridgette Turner knew something very wrong was going on inside of her body. On June 16, she posted on Facebook asking friends for advice. She had hives and extreme pain all over. It wasn’t “normal,” but what it was still has doctors baffled. After being treated originally for an allergic reaction, her symptoms only grew worse. Her husband, Preston, drove her to the Regional Medical Center in Memphis. Within 72 hours, her legs and arms began to show signs of discoloration. She remained in the hospital with doctors scrambling to find out what was causing her pain. On July 5, she was flown to Vanderbilt University Medical Center where they treated the wounds similar to how they treat severe burns. After several surgeries and skin grafts, Turner has had both feet and her left hand amputated, along with a portion of her right hand. She continues to undergo skin grafts and still waits for a diagnosis. Turner is a Domino’s Pizza franchisee in north Mississippi and owns stores in West Point and Amory and supervises the Oxford Domino’s. She and Preston live in Oxford with their 14-year-old son, John Preston. Once healed from the skin grafts, Turner will receive prosthetic feet and a left hand. Her right hand will have some cosmetic surgery but is expected to regain full use. “It will take five or six months before she is back to normal, but she has told all of these people on this floor at VU if they get her walking, she will come back to this floor and walk to everyone telling them how thankful she is. And maybe bring them some Domino’s pizza,” Preston said. While Turner continues her long road of recovery, she and her family have managed to stay strong thanks to love and outpouring from the Oxford community. 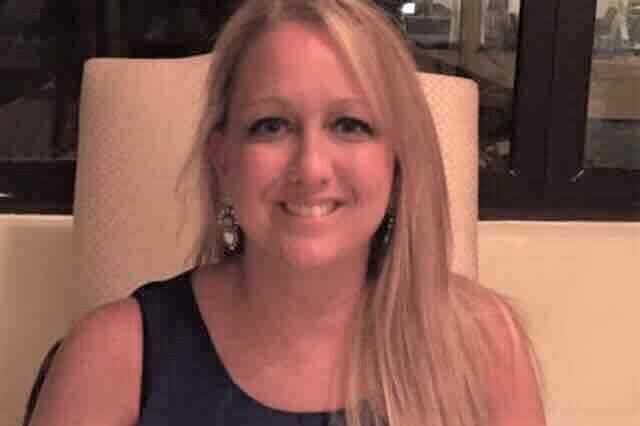 Mississippi Blood Services held a blood drive for Bridgette Turner Monday at the Oxford YMCA. 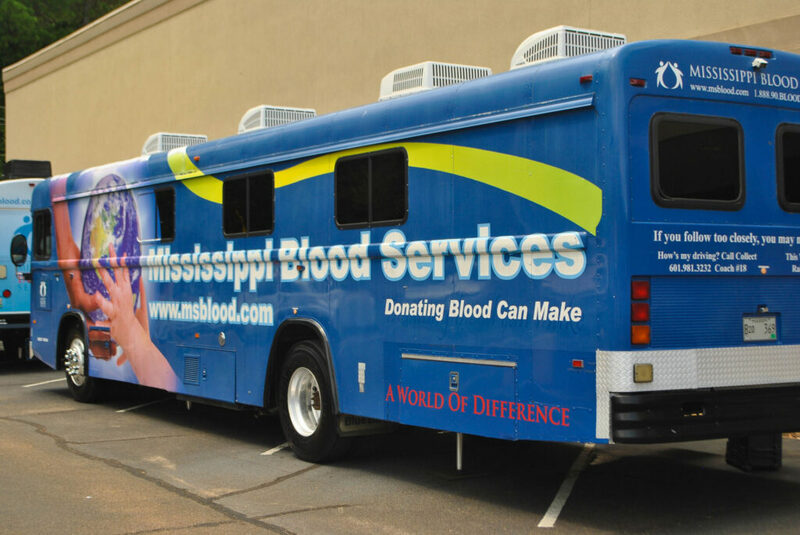 On Monday, Mississippi Blood Services held a special blood drive in Turner’s name at the YMCA in Oxford. Another blood drive has been set for Aug. 24 in the Hernando Walmart parking lot. A GoFundMe account has been set up for the Turners that has already raised more than $26,000. Lifestyles Editor Talbert Toole contributed to this story.